This guest blog is brought to you by Jennie Lees, co-founder of Affect Labs, blogger at Trendpreneur, and social media extraordinaire… We’re very excited to get the gossip from her on this exclusive event in San Francisco. Also note that Y Combinator graduate Alex Ohanian, co-founder of Reddit, will be speaking tomorrow and Thursday in Edinburgh. 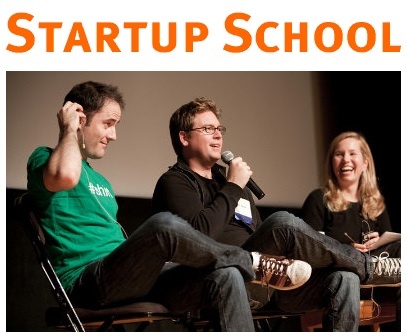 Not to be confused with Doug Richards’ UK-based School for Startups, Startup School is an annual event organised by Paul Graham of Y Combinator, an early stage investment firm in Silicon Valley. This year I was lucky enough to go along – as were 800 other people – to listen to pearls of wisdom dropped from an entrepreneurial A-list.